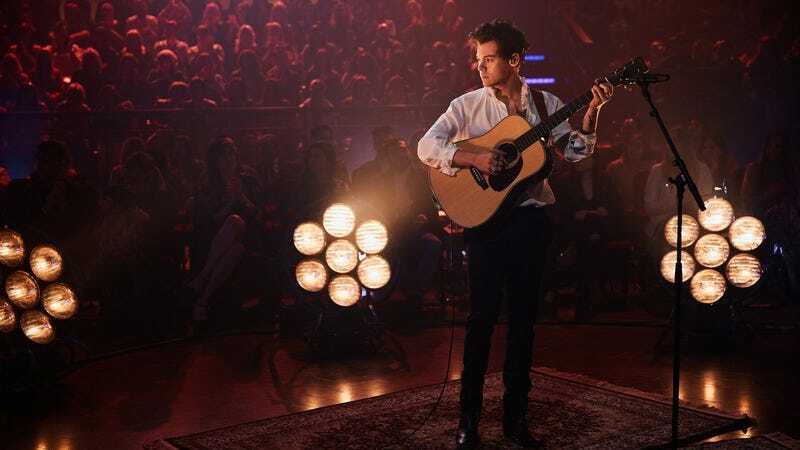 With the release of his first solo album, Harry Styles has adopted a more retro, mature milieu. And what better way to convince fans you’ve moved beyond your boy-band roots than by joining forces with an icon? Styles brought out Stevie Nicks during his intimate show at Los Angeles’ Troubadour Friday. “If there was any doubt, I’m pretty sure I’d like to confirm, in my entire life, I never thought I’d be able to say this. Please welcome to the stage, Stevie Nicks,” he said, according to Billboard. As the publication notes, the duo performed three songs, including Styles’ “Two Ghosts,” Nicks’ famous duet with Don Henley, “Leather And Lace,” and, naturally, ”Landslide”—because no one who gets the chance to share a stage with Stevie Nicks can not do “Landslide.” A recent Rolling Stone profile revealed that Styles once brought Nicks carrot cake during a Fleetwood Mac concert. So that’s how you win over your idols. You can watch video of the performances below.